Funnily enough, hiking boots are probably one of the most important pieces of gear for trips into the outdoors. We spend pretty much all day on our feet, so it’s important to keep them pampered and protected if possible. 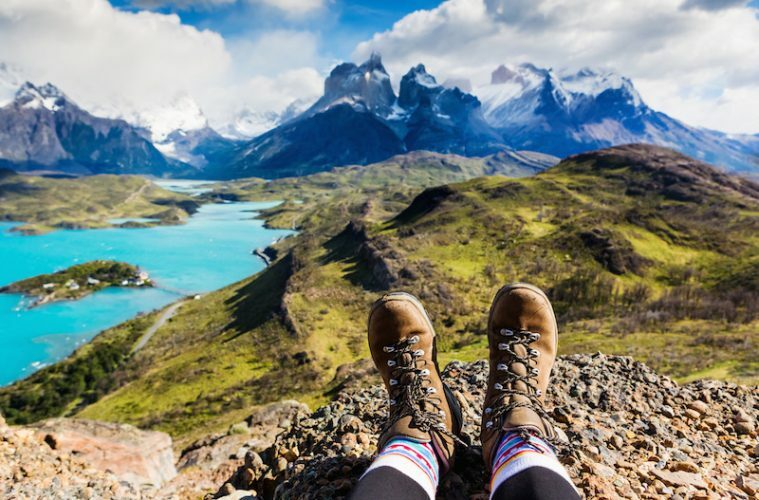 Here, we take a look at some of the best hiking boots for women (find the best men’s hiking boots here). When reading the below, it’s important to recognise that we all have feet of different shapes and sizes, so you really need to try on before you buy. We’ve testing the following boots based on their use in the UK across a range of terrain, and have rated them on comfort, support, performance, value and weight. 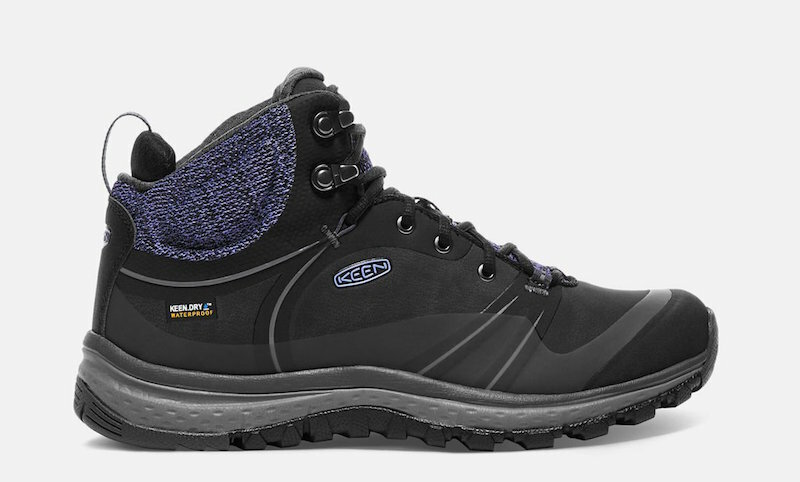 So, without further ado, here are the best three-season hiking boots for women. 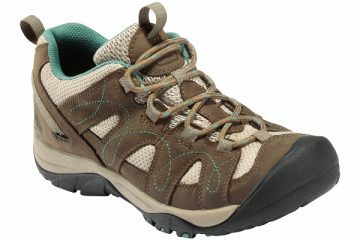 Keen designed the Terradora hiking boot range specifically for us ladies, so I was particularly intrigued to see how these would feel on my feet. I have to say, even straight out of the box the comfort of the Terradoras was incredible. I was really impressed here, especially as they’re at the lower end of the price scale. 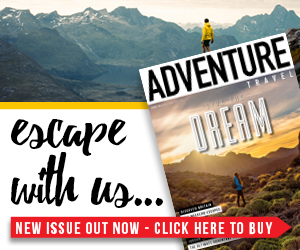 Impressively, I also found that this comfort continued even as I racked up the miles, which is exactly what you need in a reliable pair of hiking boots. Despite having a modest ankle height, the boots offered a good amount of support and I found them to be more than up to the job on a scramble in Scotland. They’re generously padded, too, giving comfort as well as that much-needed support. At just 783g per pair (size 6), they are the second lightest on test and feel great on your feet. 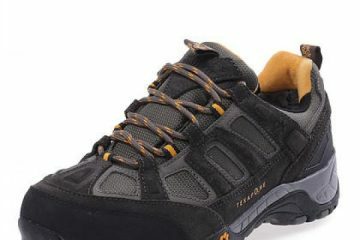 The Terradoras are quite flexible, while still offering some lateral stiffness and stability, though I would not wear these while hiking with a very heavy rucksack. The lugs aren’t as deep as some of the others on test, however, I found the soles to be quite grippy, even on wet rock. The toe bumper was protective, but could have done with covering more of the top of the toes. Considering the low price, I was really impressed with the performance of these boots. In a line: The Keen Terradora Pulse Mid Waterproof is a very comfortable and lightweight pair of women-specific hiking boots. These are the best hiking boots for women on a budget. 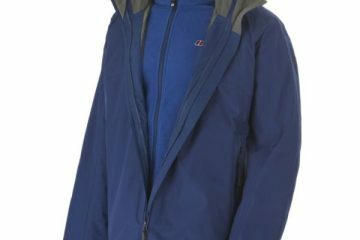 Berghaus is well-known for providing quality outdoor gear and the brand’s entry into this test is the Fellmaster GTX. This classic brown leather walking boot offers a good amount of stiffness, without preventing the natural movement of your foot while you’re on the move, achieving a good blend of support and comfort. I also found that the combination of the heel cup and lacing system and padded tongue kept my foot in place well while moving. There is no rand but the boots do benefit from a strong toe bumper, which helps give you that extra bit of protection, especially when you find yourself having to participate in a spot of scrambling. They don’t have the deepest lugs on test, but I found they offer a good amount of grip even on wet terrain, so no complaints here. The Fellmaster boots fit well, offer a great ankle height, and a generous amount of comfortable padding to the cuffs thanks to the use of memory foam in the collar and tongue. The Gore-Tex lining in the boots kept my feet happily dry for the entire test, and at 1,076g per pair (size 6), they’re not too heavy. 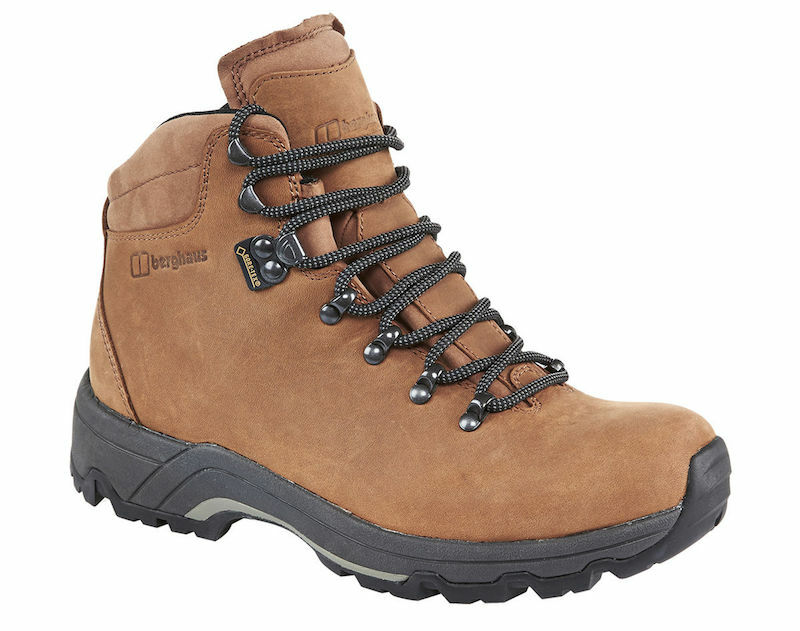 I’d say that Berghaus have kept up to their good reputation with these comfortable and reliable boots. 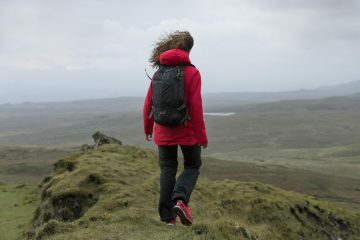 In a line: The Berghaus Fellmaster GTX boots are great quality and they will serve you well. 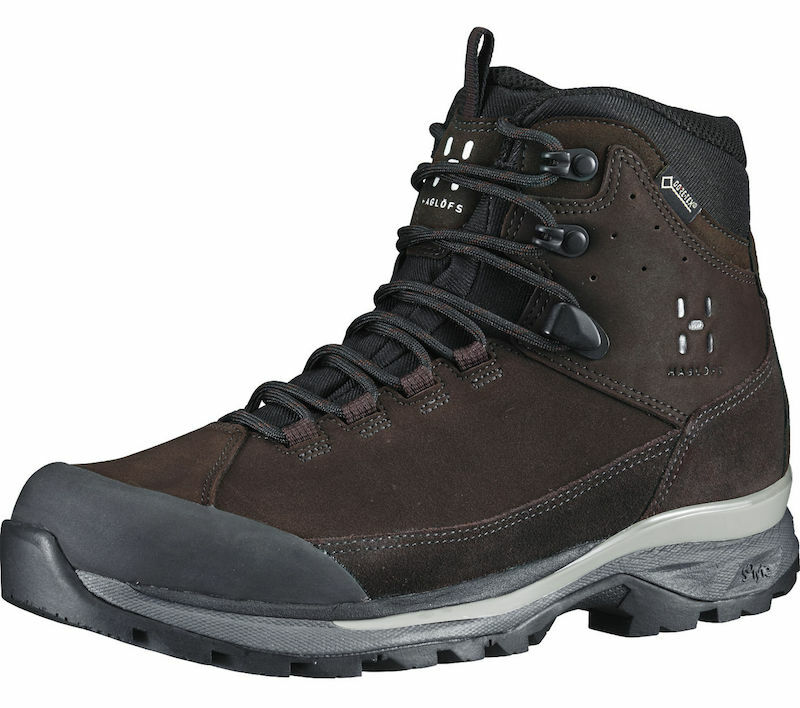 I don’t usually find hiking boots to be particularly stylish, but as I find with most Haglöfs kit, I thought these were nice to look at and I particularly liked the chocolate brown leather. Anyway, back onto the more important factor of functionality and performance. These boots were comfortable to wear (weighing only 1,048g per pair, size 6), but I did find that they didn’t quite offer the same amount of lateral stiffness as some of the others on test. With that said, there are probably others that are better suited for really technical trails with loose rock underfoot. I found the boots had an ideal ankle height to provide support, and there is plenty of padding around the cuff to keep them from digging in. I found my heel was well supported in the heel cup and my toes felt protected due to the firm toe bumper while a suede rand around the boots offered that extra little bit of abrasion resistance. The lugs on the outsole weren’t the deepest, but I found they offered just enough grip to keep you from slipping over when it’s wet! As you’d expect, the Gore-Tex liner did its job at keeping water out, while the high tongue bellows helped keep debris at bay. All in all, I think the Eclipse GT boots from Haglöfs are a stylish and practical option for all but the most technical of trails. 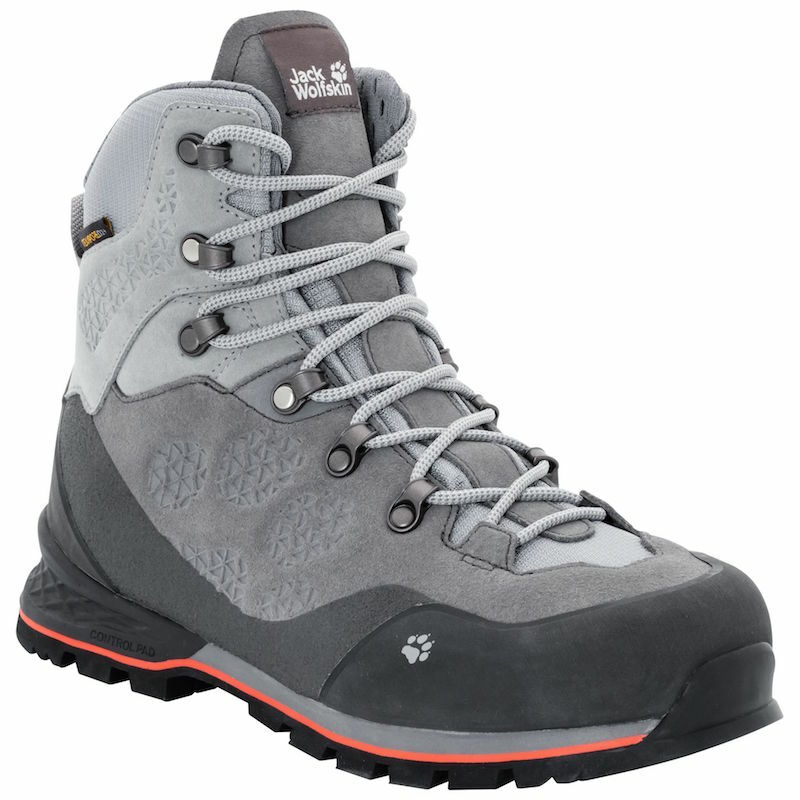 In a line: The Haglofs Eclipse GT is a stylish pair of boots that will perform as well as they look. I haven’t worn Asolo footwear before, so I was intrigued to see what the Stynger GTX boots had in store for me. I was impressed with the comfort from the off, and adjusting the classic lace system was easy and it did a good job of securing my foot. The cuffs are nicely padded and straight away my ankles felt at home, as did my heels which felt well supported in the heel cup. The toe bumper on these boots are harder than Rocky Balboa, and they offer a good suede protective rand around the boot. I also found the ankle height to be spot on, leaving me feeling well protected while hiking the trails. These boots aren’t as stiff as some of the other top priced ones on test, however, they do offer a good blend of lateral stiffness and support, and comfort. With this in mind, there’s enough support for most types of trails and they’d do a good job if you were carrying a heavy rucksack, too. 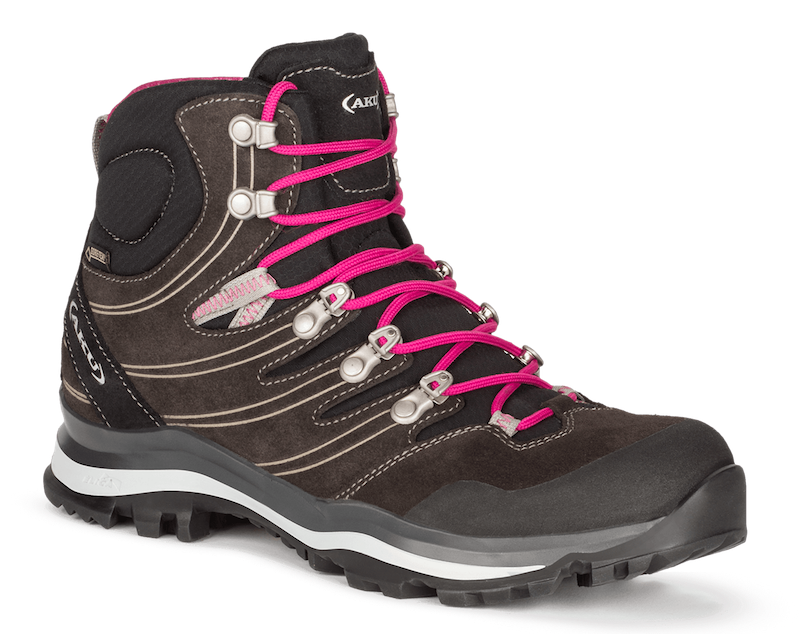 At 1,197g per pair (size 6), they don’t feel too heavy, while a Gore-Tex membrane ensures you’re feet stay dry. The lugs on the outsole are not particularly deep, so they were less grippy than some of the other boots on test in mud-plugging scenarios, but they do well on rocky trails and more technical terrain. 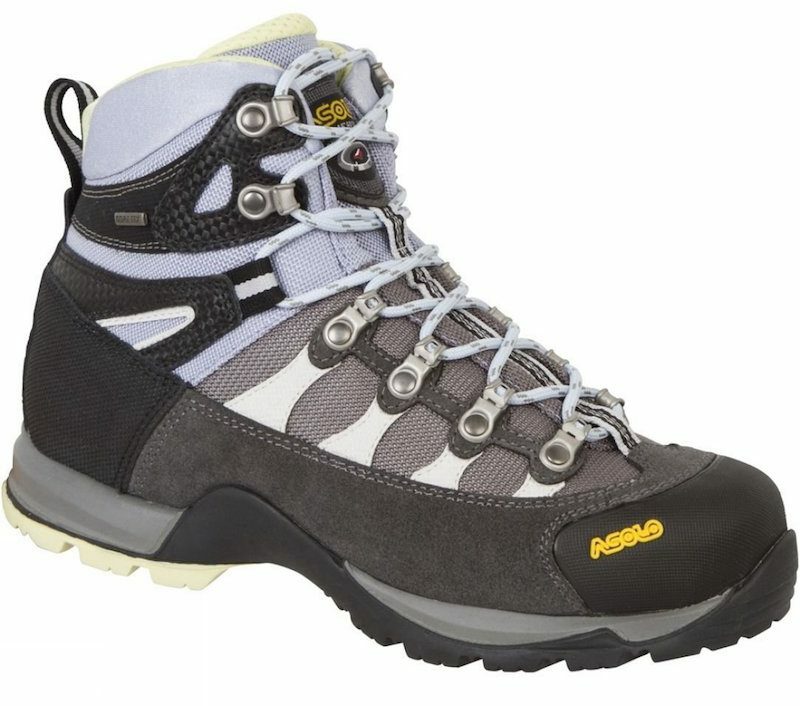 In a line: The Asolo Stynger GTX boots are protective, supportive and a great all-round product. Let me first say that the Ayako High GTX boots are incredibly comfortable. My feet felt great and were very well protected. The boots offer fantastic lateral stiffness meaning there is great support and stability, yet they still have that little bit of natural flex that your feet need when moving to keep things feeling comfortable. These boots are well-suited to technical hiking trails and provide enough stability so that you can wear them when carrying a heavy rucksack. A strong rubber toe bumper, and protective rand offers a great amount of protection from rocks and abrasion and I’d happily wear these scrambling. My heel felt fully supported within the heel cup and the lacing system did a good job of securing my foot. The ankle height on the Ayako boots is ideal for keeping rolled ankles at bay, and there is plenty of padding to the cuff to keep them feeling comfortable. I was impressed by the Vibram outsole, and while walking I felt confident in the grip that they were offering me on all types of terrain. As expected, the Gore-Tex liner did its job, too. These boots left my feet feeling dry, happy and supported, and at 1,133g per pair (size 6), they feel pretty sturdy too. 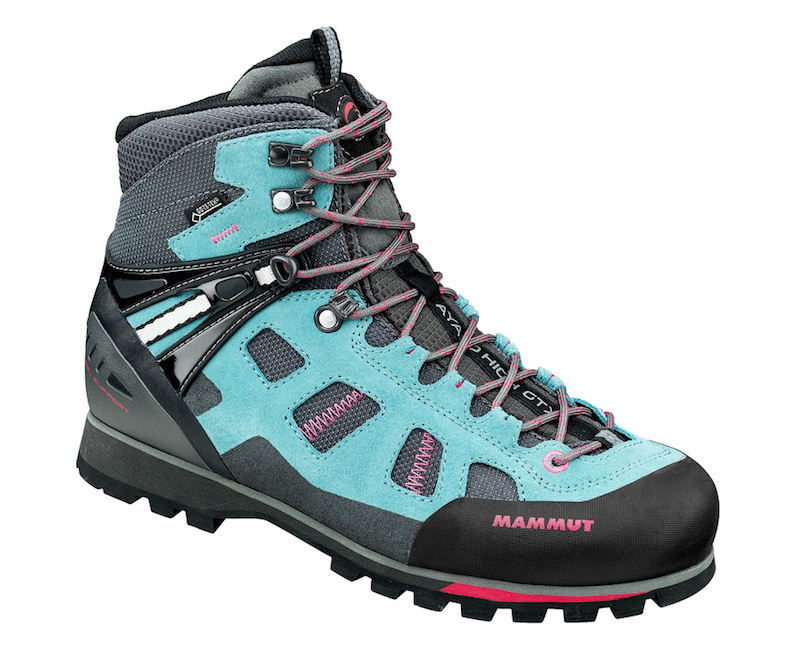 In a line: The Mammut Ayako High GTX boots are superb, offering excellent support and protection. 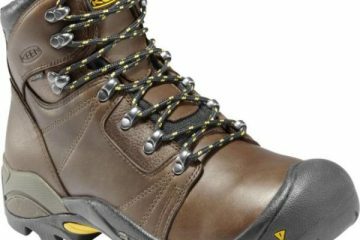 Jack Wolfskin hasn’t taken protection lightly on the Wilderness Texapore hiking boots. As soon as I put them on, I could just tell they were going to be a solid pair of boots. They offer an ideal amount of lateral stiffness for technical, rocky ground, yet still provide that little bit of flex needed to keep your feet moving naturally as you walk. The boots have a good, strong toe bumper and thick rubber rand around the boot helping to keep your feet protected on the trails. My heel was also kept supported in the heel cup, while the Vibram sole of the boots feature deep lugs which helps to offer excellent grip, even when things get wet on rocky and muddy terrain. A particularly high ankle height protects your ankles from twists, and this is complimented by plenty of soft padding to the cuffs, which keep things comfortable. The boots also get a big tick when it comes to keeping the wet stuff out thanks to the TEXAPORE membrane. Weighing in at 1,341g per pair (size 6), these were the heaviest boots in the women’s test, however, I didn’t feel like I was walking in moon boots. Overall, my feet felt comfortable, supported and happy in these Jack Wolfskin boots. In a line: The Jack Wolfskin Wilderness Texapore Mid boots will keep your feet feeling well supported and comfortable on the trails. Salewa products have a reputation for being of excellent quality, hence the high price tag. And I’ll be honest with you, you can just tell these are a well made pair of hiking boots as soon as you lay eyes on them, which was confirmed as soon as I put them to the test. The boots feel firm and supportive to wear, yet they still offer that token bit of flexibility that’s needed to keep your feet feeling comfortable as you walk. The toe bumper is very firm, and the rand covers a large surface area, which all works together to help keep my feet protected when scrambling and hiking more technical mountain trails. They offer great ankle protection and the cuff is well padded, so I didn’t feel as if they dug in at all. With a great deal of lateral rigidity, these boots are well at home in rugged mountain terrain and they’ll provide ample support for carrying heavy rucksacks. Deep lugs on the Vibram outsole of the boots offered great grip, and walking over rocky terrain was pretty dreamy, as I barely felt it underfoot. They’re fully waterproof and dried off pretty quickly too. At 1,327g per pair (size 6), they’re pretty heavy compared to the others on test, but the weight is not wasted at all. 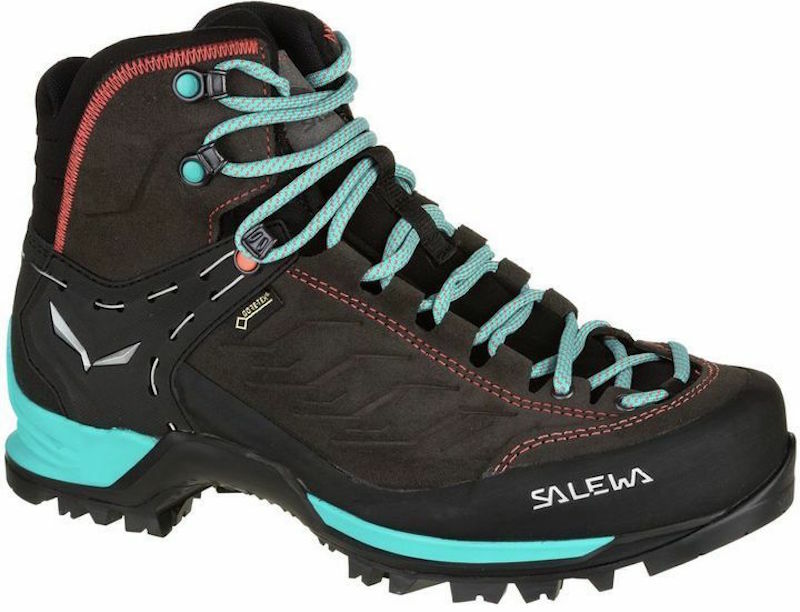 In a line: The Salewa Mountain Trainer Mid Gore-Tex has everything you could want and are one of the best hiking boots for women around. Highly recommended. AKU is an Italian company that is renowned for creating versatile and comfortable footwear, and I’ll tell you what, these are just that. I found the boots very comfortable to wear and they offer an ideal ankle height that strikes the balance between comfort and support. The padding around the cuff keeps the boots from digging into your ankles, too. The toe bumper is very strong and there is great protection around the heel, so I would feel more than comfortable scrambling in these boots. The Vibram sole has deeps, aggressive lugs that do a great job on all kinds of terrain, including wet grass and mud. 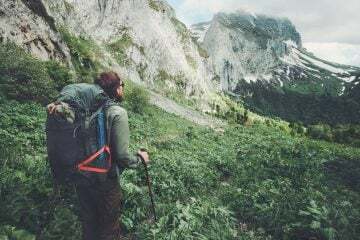 Due to the boots’ underfoot stability, I would feel comfortable hiking technical trails and carrying a heavy rucksack while wearing them, as they deal with uneven ground well and prevent me from rolling one of my ankles. The heel box kept my heel supported and in place at all times, and the laces made it easy to adjust the fit. Weighing in at 1,215g, the AKU Alterras are on the heavier end of the scale compared to all of the boots on test, but that is to be expected for such a rugged boot. Once again, Gore-Tex did its job here keeping my feet dry throughout testing. These boots may carry a high price, but you do get what you pay for. In a line: If you can afford them, the AKU Alterra GTX boots won’t let you down. These are the best hiking boots for women on test.